Will “Big Data” Change the Way We Deal With Los Angeles DUI Arrests? Even though you’ve recently been arrested for Los Angeles DUI, you want to keep the Southland streets and freeways safe and to clamp down on dangerous driving behavior. In fact, the odds are high that you are a first time offender who only got a misdemeanor — that is, you didn’t seriously hurt or kill anybody else or engage in other reckless behaviors, like hit and run. Odds are also high that you are, generally speaking, a law abiding citizen who never in a million years thought you would wind up sitting in a police station, getting your mug shot taken. You also have a vested interest in eradicating the problem of DUI driving. So what can be done? And what can you do? We’ve actually come a long, long way with respect to managing our collective DUI problems. In the 1950s and 1960s — before widespread public safety campaigns warned about the dangers of DUI driving — alcohol related accidents caused many more deaths and injuries, relative to the number of cars on the road and miles driven. More people drive today, but fewer people die and get seriously hurt in accidents, at least on a per-mile basis. We are making progress. That said, when you analyze accident statistics collected over the past 5 to 10 years, it’s clear that we’ve hit a plateau. So how can we reduce the number of DUI incidents further? As Albert Einstein famously noted, you can’t solve problems with the same mindset that created them. A shift in perspective can lead to inspiring new solutions to old, prickly problems. To that end, what “new solutions” might be able to help us? 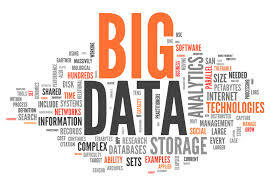 Big Data — A Tool for DUI Prevention? Per Moore’s Law, our computing power continues to increase at an amazing rate, year after year. This means that our ability to simulate traffic safety issues on the computer is also improving. It’s at least conceivable that better data may ultimately make our roads much safer. For instance, by using certain types of computer analyses, we may be able to figure out which types of DUI drivers are most at risk for becoming recidivists and develop appropriate interventions. Perhaps a study might show that a DUI driver who fails to complete all his alcohol education classes will be three times more likely to get arrested again for DUI than will someone who completes the program. If that’s the case, maybe a “flag” could automatically go up when a driver misses more than two classes to alert educators to get the student back into the program. Solutions don’t have to be punitive! The more we understand what drives people to break DUI laws — as well as what keeps them in line — the less we’ll have to rely on brute force methods like jail time and license suspensions. Of course, you’re probably much more concerned about how to build your defense than you are in these grander issues. For help responding effectively to your Los Angeles DUI charges, call or email the Kraut Law Group today. Mr. Kraut is an ex-Deputy District Attorney for Los Angeles; he leverages his Harvard Law School education and connections with people in the Southern California legal defense community to help his clients.